This 3D confocal microscope image shows human skin cells growing around and within the porous hydrogel. Credit: University Instrumentation Center at UNH. 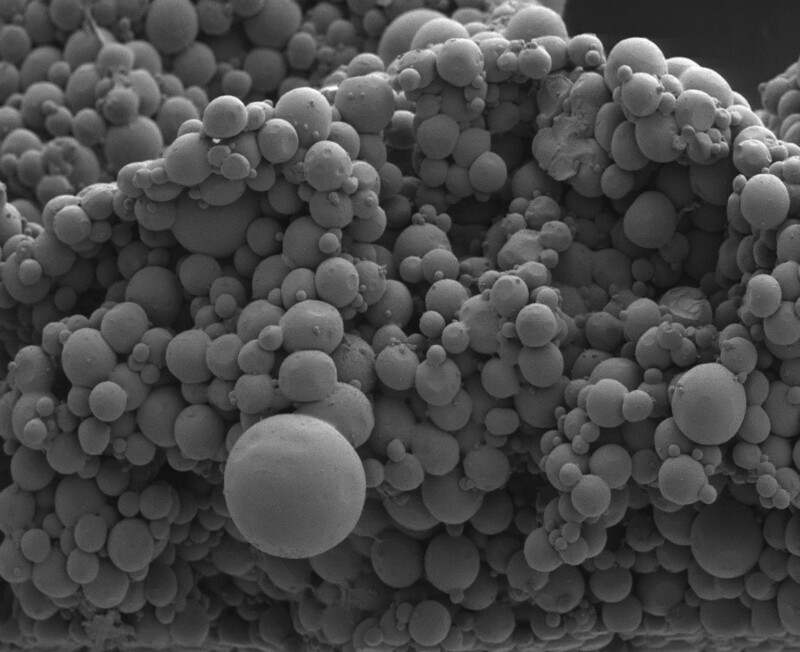 Scanning electron microscope image of a porous hydrogel, which could help wounds heal faster. Credit: University Instrumentation Center at UNH. UNH researchers have created an easy-to-make, low-cost injectable hydrogel that could help wounds heal faster, especially for patients with compromised health issues. In a study recently published in the journal of ACS Applied Bio Materials, the researchers outline how they made a macroporous hydrogel by combining readily available gelatin microgels — hydrogels that are a few hundred microns in diameter — with an inexpensive enzyme called microbial transglutaminase (mTG). Gelatin was used because it is a natural protein derived from collagen, a protein found in connective tissue in the body such as skin. Assembling these tiny microgels with mTG helped create a hydrogel with large-enough pores for the neighboring cells to move into the wound for repair. In addition, this new injectable formulation allows for the slow release of protein drugs to aid wound healing, such as platelet-derived growth factor (PDGF). The researchers compared conventional nonporous hydrogels with the new macroporous hydrogels, and found a notable increase in the migration of tissue cells inside the hydrogel, which is the hallmark of wound healing. Jeong’s co-authors on the study are UNH graduate students Shujie Hou and Seth Edwards, undergraduates Rachel Lake ’19 and Chante Jones ’20 and postdoctoral researcher Shiwha Park.